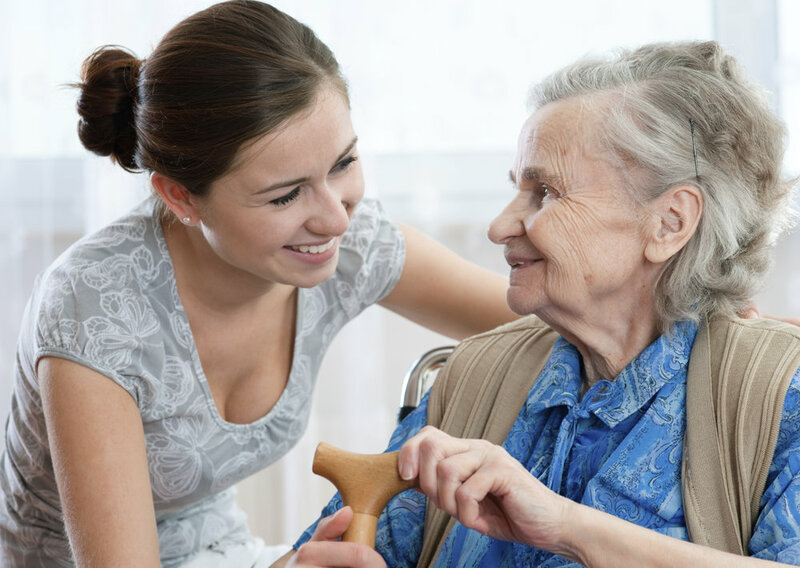 If you’re at the point where you’ve hired or are thinking about hiring, a caregiver for a senior citizen in your life, then you know how important the relationship is between your loved one and the person who is taking care of them. After all, the caretakers are in their home on a daily basis. So, you definitely want to make sure that there are no gaps in care and that the overall relationship is positive. In most cases, caregivers are excellent at their jobs and are extremely adaptable, which ensures that the relationship they have with senior citizens is nothing but positive and effective. However, there are some things to think about so that you can understand the whole situation a little bit better. First of all, scientific research has demonstrated the benefits the caregiver-senior citizen relationship can have on the senior. This is particularly true of patients with Alzheimer’s disease. A study conducted in 2009 between Utah State and Johns Hopkins University met with the participants and conducted tests on their cognitive, behavioral, and physical health. What they found was that the elderly with strong personal relationships with their caregivers scored higher on the tests than those who lacked the close relationships. The caregivers, therefore, were helping the patients retain brain function. That’s pretty significant! In a number of cases, the relationship with the caregiver can become so strong that they become part of the family, not just for the senior, but for everyone else, as well. This can be a really good thing. You want the caregiver to take care of your loved one as if they were their own family, so fostering that relationship can help give you peace of mind that your family is getting the care they deserve. A strong relationship between a senior and a caregiver can also take some of the heat off other family members. Dealing with a loved one’s declining condition can be difficult enough, but when you add in extra daily chores necessary to take care of that person, it can put a strain on the family. It can be easier for a loved one to get angry with you than with the hired caregiver because you’ve known each other for so long. A great caregiver will reduce your family’s stress significantly, rather than increase it. It may be surprising to some, but issues can sometimes arise, and it’s important to take these into consideration in order to catch them as early as possible. There are times when jealousy becomes a problem between family members and the caregiver. Try to think of it in terms of your family. If you’ve been the one taking care of your loved one on a daily basis, and then you are suddenly replaced with someone else, you might potentially feel a loss of connection to your loved one. There are a number of cases where spouses of seniors who are being cared for by a caregiver develop jealousies. However, if you put it in perspective and realize that what’s actually happening is that you’ve got a lot less work to do, and your loved one doesn’t care for you any less, it can be a very comforting feeling. Just keep this in mind so that it doesn’t become a negative aspect of the relationship between the caregiver and the senior in your life. Managing expectations is also extremely important. You need to ensure that your caregiver knows exactly what is expected of them. In turn, they need to know your expectations very clearly. If a caregiver isn’t clearly told that something is an expectation, then hostilities can develop when that expectation isn’t met. Don’t forget that it’s all right for things to be done a little bit differently than you might do them. Trust your caregiver and let them do things in a way that is effective for them and your loved one. ALWAYS REMEMBER: Strong communication can usually solve any of these issues. The relationship between caregivers and senior citizens can be extremely valuable. It can reduce stress on families, provide better quality of life for the senior, and even help them deal with the health problems they’re encountering. However, like anything else, there are potential issues to watch out for. An understanding of these issues and good communication all around will ensure a strong, healthy relationship that’s beneficial for everyone involved..